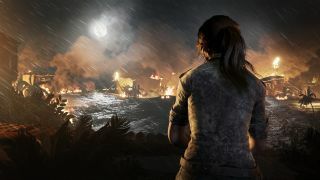 Welcome to our blowout guide for Shadow of the Tomb Raider. Here you’ll find the location and tips for collecting all the Shadow of the Tomb Raider documents, relics and murals in the game. We’ve split it into different locations so all you have to do is look for what you’re missing. Be warned that the guide is best used to mop up at the end of your journey, as not all of these will be accessible immediately when you play due to not having the right equipment to access each area or chest. If that’s the problem, and you lack the reinforced blade, rope ascender or lockpick then we have another guide to show you where they are so you can get stuck in without the disappointment of a Metroidvania roadblock. So without further ado, let’s get going - those tombs aren’t going to raid themselves, you know.